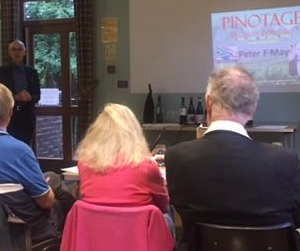 To North Ealing on Friday 2 June to present a tasting of premium Pinotages to the NEWTS, which is the delightful acronym of North Ealing Wine Tasting Society. 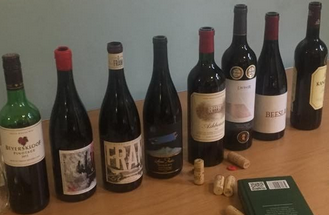 Averaging out scoring at the end of the evening showed the Kanonkop came top, just above Beeslaar and Loma Prieta which tied, then L’Avenir. 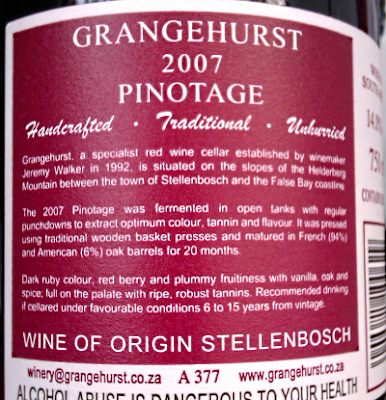 The white Pinotage, which as its name Blushes Inverse suggested, was faintly pink, had been made in an oxidative style had its fans but they were outnumbered. 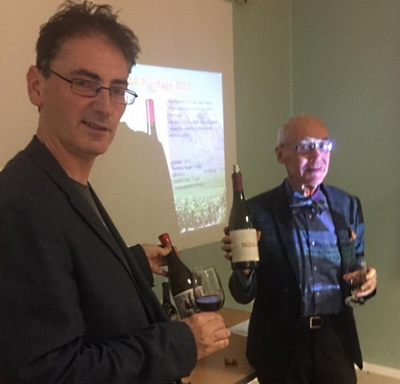 Thanks to Andrew Price for organising the tasting for NEWTS, and for the photographs which you can ‘like’ on Andrew’s Instagram site here. 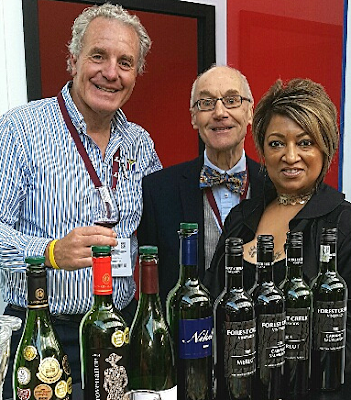 Yegas was paying a brief visit to the show before flying to Quebec that evening to judge at a wine competition. 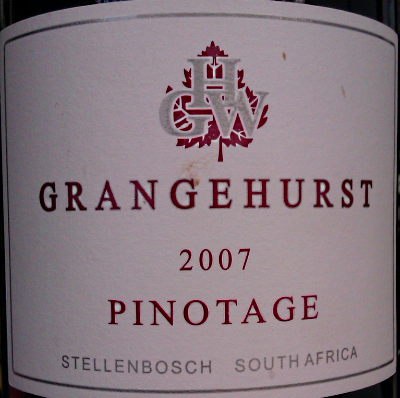 Rainer represents several wineries, including Grangehurst and he poured me a glass of Grangehurst 2007 Pinotage. I didn’t expect to find a ten year old wine being promoted at the show but was told it was the current release. 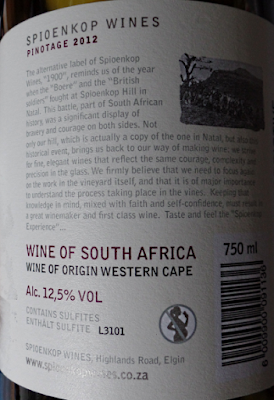 “Jeremy only releases his wines when they are mature,” Koos told me. 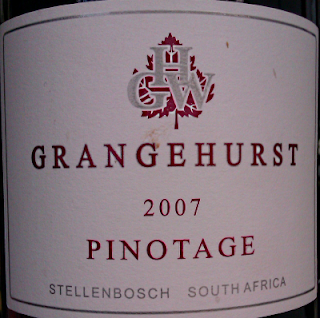 Jeremy Walker is owner-winemaker of Grangehurst where the mantra is Handcrafted, Traditional Unhurried. The recipe is a serendipitous discovery made when Jeremy’s maiden Pinotage harvest in 1992 didn’t produce enough fruit to fill the tank so 8% of Cabernet was added. 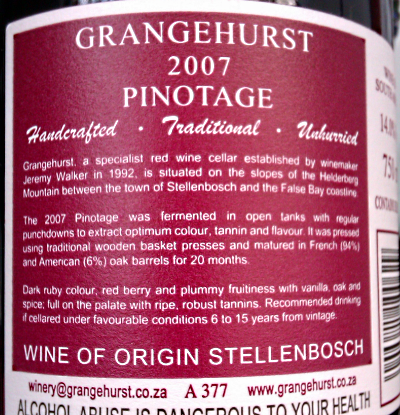 This 2007 vintage was pressed in traditional basket presses and aged 20 months in new barrels, 94% French and 6% American. 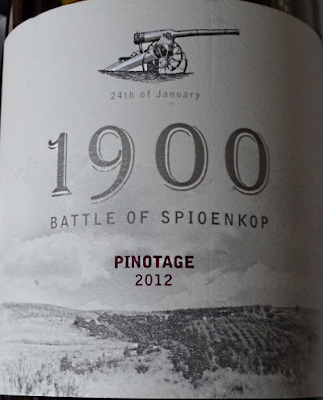 The wine was showing its age, already browning in colour, with aged subtle fruits thining and delivering intense Pinotage sweetness. It was ten years ago that I visited Grangehurst (how time flies by) where Jeremy told me the restaurants he supplies likes aged wine and he crafts wines to accompany food.